Marine Insurance is one of the most challenging, as also a unique, form of insurance. Marine insurance is essential in international trade to cover the goods in transit from one place to other both for domestic and international trade. The subject insurance also covers Hull and Machinery of the vessel under a separate policy. With the development of trade and commerce, maritime frauds relating to both cargo and hull insurances have gradually increased. It is observed that most of the documentary frauds are committed due to inherent weakness of the modern system of international trade and carriage of goods by sea. Sometimes, a very old vessel is deliberately scuttled by the owners in connivance with the cargo owner for commercial gain. However, the ship-owner might have a valid claim, for barratry, if scuttling of the vessel was done by the master of the vessel without the knowledge of the ship-owner. There are several methods to commit cargo theft also. A vessel with loaded cargo may deviate from its route intending to discharge the cargo into a port of convenience where cargo may be sold. The name of the vessel and her colour may be changed and she may be scuttled in order to hide cargo theft. In other cases, the vessel with a new name and colour may reappear for stealing the cargo. The investigation of loss is proved difficult, as by the time the loss is known, the cargo disappears. A consignment of old/used cargo showing the inflated value in the marine cargo policy may be intentionally destroyed by an unscrupulous businessman during transit for wrongful gain. A fraud may be committed by the charter party when they hire a ship, load the cargo on freight prepaid terms and disappear subsequently without paying the hire to the ship-owner. The ship-owner is also responsible for employing his vessel to unknown companies without obtaining any financial guarantee from the charterer, when demand for tonnage in the shipping market goes down due to economic depression. 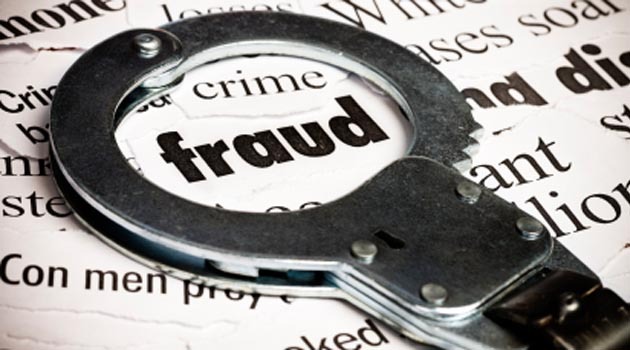 The fraudsters are able to defraud the Shipper and the Insurance companies since it is difficult to investigate the fraudulent activities due to complexity of the marine trade and involvement of different intermediaries like Bankers, Shipping lines, Freight forwarders, Shipping Agents, Road Carriers etc., at different locations. The fraudsters utilise all the opportunities to become more successful in financial gain. In shipping trade, bill of lading issued by the steamer company is considered as a document of title to goods. When the courts had accepted the development of Bill of Lading as a document of title to goods, it was realised that it was possible to pledge the goods for an advance, as well as to sell them. The letter of credit issued by the importer in favour of the exporter ( herein called “ beneficiary”) through their banker provides an assurance to the exporter to recover the payment of his invoice against tendering of the Bill of Lading and other related shipping documents. The risks of insolvency, or indeed fraudulent buyer, are therefore eliminated. Hence, the documentary credit reduces the vulnerability of system to fraud. On the other hand, the buyer is allowed to obtain the Bill of Lading from the bank, and resell the goods, in advance of reimbursing the bank, thereby the liquidity problem, if any, of the buyer is removed. However, the release of the Bill of Lading by the bank to the buyer, prior to reimbursement, exposes the bank to greater risks of a fraudulent buyer, who may resell the goods without reimbursing. When the sale is done by documentary credit, it is the fundamental principle of the bank to negotiate the documentary credit with the documents and not the goods. The principle suggests that the bank will accept the documents and pay for the goods unless they observe any discrepancy in the documents. The buyer cannot generally prevent the bank from accepting the documents and paying against the documents. Hence, the possibilities for tendering of fraudulent documents by the seller are possible. The marine underwriters exclude shortage from intact seal containers considering that the containers are susceptible to fraud problem. In most of the cases, the containers are not always stuffed in the presence of the inspection agencies of international repute and/or the surveyors engaged by the underwriters. Since it is difficult to identify the quality of material stuffed inside the container, a fraudster may get an opportunity to stuff anything he wants to stuff inside the container. It is also found that even if the goods are stuffed into the container as per specification of the buyer, the sound materials may be removed from the container by substituting other materials keeping the cargo unchanged. The skilful opening of containers is done by an organised gang during movement of the cargo from the supplier’s premises to the port of loading. Since opening of container is done with great precision, it is difficult to ascertain as to how and where it occurred. Sometimes, sample of the rubbish material obtained by the surveyors may give an indication of the country of origin. “ The scrutiny seal system has fallen into virtual disuse or irrelevance. When I left the police service some thirteen years ago there was not a container seal on the market that I could not open and close again, and no-one would have been aware that I had tampered with it. To be fair things have improved a little, but seals are far from perfect. In addition to these shortcomings, a seal is only of use if it forms part of a disciplined system. The very essence of this system is that there should be an examination of the seal at every point of interchange with the examination covering both the identity and the integrity of the seal. This just is not practical. In our experience, master of the vessel provides clean bills of lading innocently as it is difficult for him to examine the quality of cargo stuffed into the container while loading on to the ship. Hence, it will be a difficult task to make the Carriers liable since skilful pilferage, in most of the cases, cannot be identified unless the container was opened at the final destination. The surveyors engaged for investigation of the loss at the final destination often concluded that the shortage of consignment might have occurred during land transit in the Exporter’s country prior to loading on to the vessel although the observation of the surveyors, in some cases, was done without proper examination of the container if the same was released by the consignees immediately after destuffing. When stuffing is done in the factory premises, the container is sealed by the Central Excise Inspector by lead wire seal. If lead wire seal affixed in the containers is found intact after its arrival at Inland Container Depot, the Customs Authorities do not open the doors for inspecting the goods. They affix their seal on the door. It is my personal view that this lead wire seal can be opened without any trouble. The Customs seal is affixed at the ICD or at the port. This is a white coloured bullet seal. This one time use bullet seal consists of the head and the base which once pressed together can only be opened by cutting the seal neck. However, the miscreants are able to open the container without breaking/tampering of the seal nowadays. The shipping line seal is also a bullet seal which is put by the shipping line. Each line has its own distinct numbering system. All times the consignor/shipper also puts his seal in addition to the above seal. The merchants, therefore, are expected to develop business with those people who are honest and financially sound. The same was echoed in the statement of Bowen LJ that “mercantile genius consists principally in knowing whom to trust and with whom to deal”- it is the responsibility of the merchant to select good business man with proper business credentials instead of dealing with a fraudster. Mike Yarwood, a senior loss prevention executive at TT Club, stated that “ while there are some geographical hot spots where cargo theft occurred, the problem was a global phenomenon and one which has yet to be overcome in any part of the world”. Mr Yarwood also stated that there are substantial volume of cargo thefts on major traffic routes from the major ports and terminals. It is also found that highway robbery, hijacking and theft of cargo at different parts of the world are a common phenomenon especially for high valued consignment which has high demand in the market. Both the Seller and the Buyer should know the market reputation and financial stability of each other. The details of the Shipping lines, Freight forwarders, Clearing and forwarding agent should be verified prior to booking and transportation of the consignment. The stuffing, sealing and weighment of the container at the premises of the Exporter should be supervised by the surveyors of International repute and/or the surveyors nominated by the underwriters as far as practicable . It will be in order to arrange for video recording while stuffing and sealing of the container. The shipping documents should be examined carefully against counterfeiting of documentation like watermarking, tamper-proof paper as recommended by IMO and UNCTAD. The selection of local transporters for carrying the containers from Assured’s premises to Port should be done with utmost care and caution to prevent skilful pilferage since an organised gang is capable of opening the container within a short span of time for removal of goods prior to arrival at the dock. The surveyors engaged for supervision should examine packing list and the Bill of Lading where the seal ( both customs and shipping line) and container numbers are mentioned. The seal must be affixed on the right door. A seal on the left door is useless as the left door cannot be opened without first opening the right door. The consignees should arrange for survey at port of discharge to find out tell tale signs of tampering, if any. If the containers are delivered in doubtful condition at the premises of the consignees, the consignees should not release the container in clean receipt. The container should be detained for immediate survey by the surveyors named in the policy/certificate of insurance issued by the underwriters. The Assured may wish to obtain the following cover from his underwriter to take care the payment of demurrage charges, if any due to detention of cargo for inspection. This policy shall cover demurrage charges and/or late penalties assessed against, and paid by the Assured for late return of the containers when said containers are retained by the Assured at the instruction of the underwriters for inspection by the Underwriter’s surveyors in investigation of loss or damage recoverable under the policy. The surveyor should be engaged for stuffing supervision at Port of loading, if stuffing is done in LCL (Less than a container load) container. Payment by irrevocable documentary credit, confirmed by a bank in seller’s country, provides the best safeguard to the seller. If there is any doubt as to the authenticity of the shipping document , he should immediately consult his bank before parting with goods. Although prevention against fraud is a costly and time consuming affair and time consuming but if the shippers, transporters, freight forwarders, C&F Agents and the underwriters take proper precautions for safety of the cargo, fraudulent activities can be prevented. It is important to note that, failure to deliver the goods to the buyer in time may tarnish the image of the shipper in the International market due to delivery of rubbish materials. It is, therefore, suggested that the shipper should incur some expenses to protect his cargo to ensure arrival of cargo in safe and sound condition and within the schedule time of the customer.